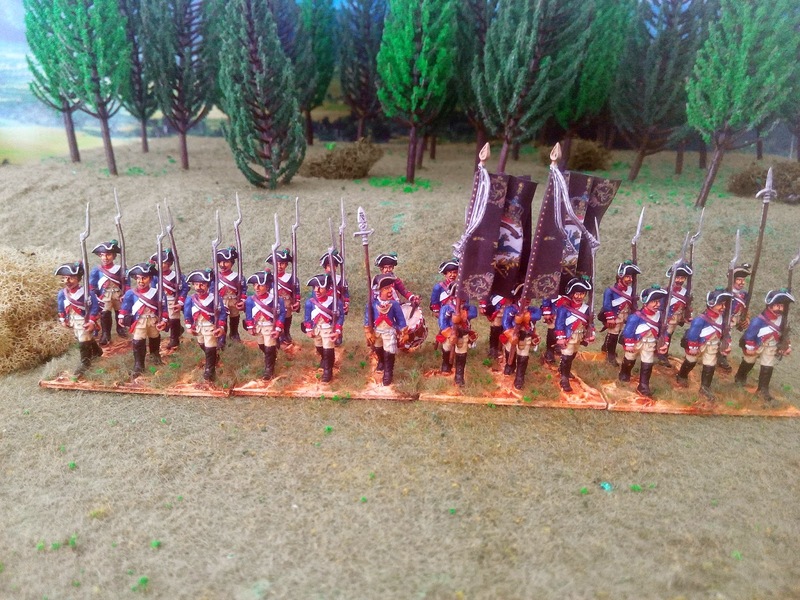 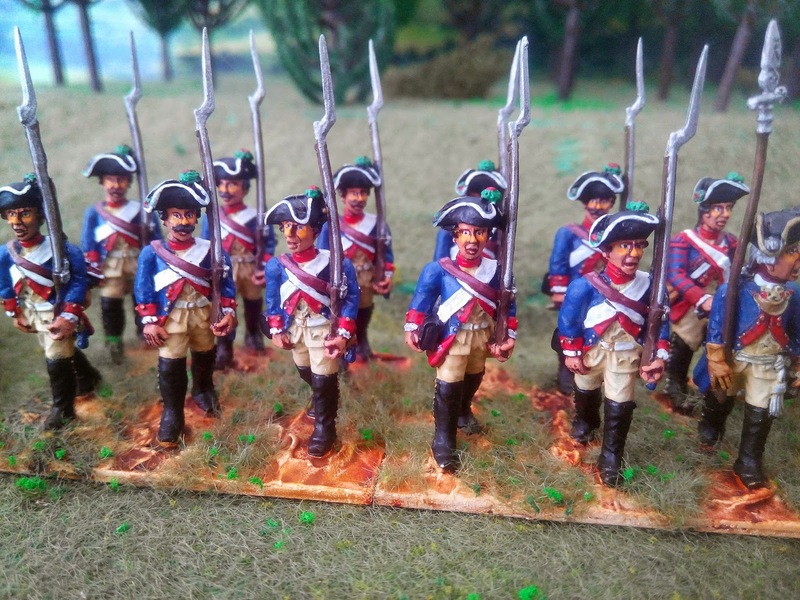 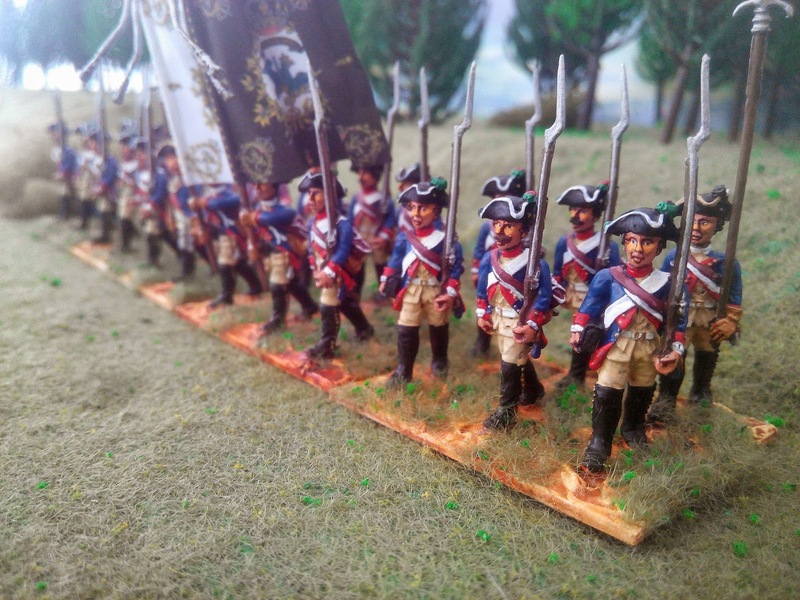 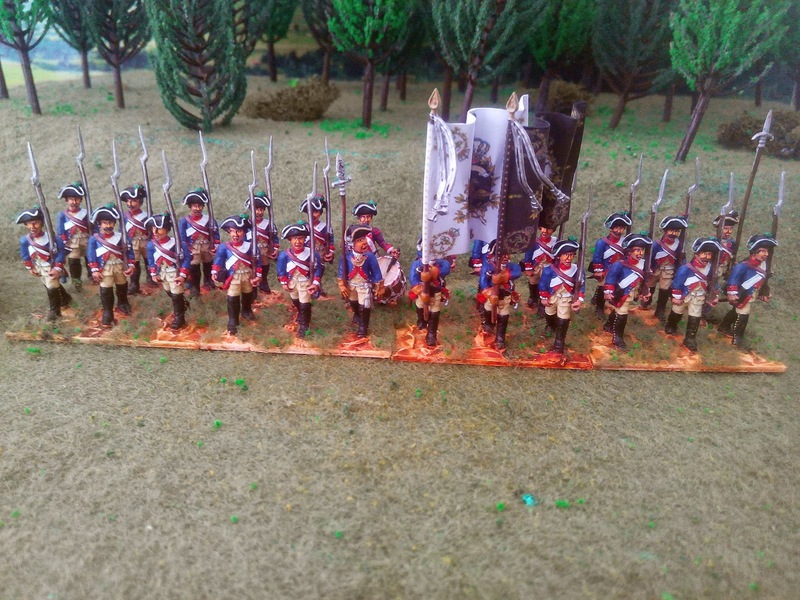 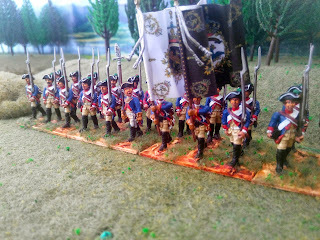 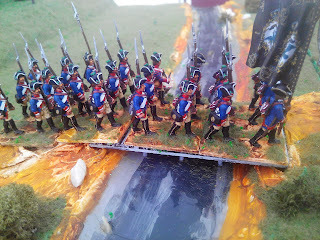 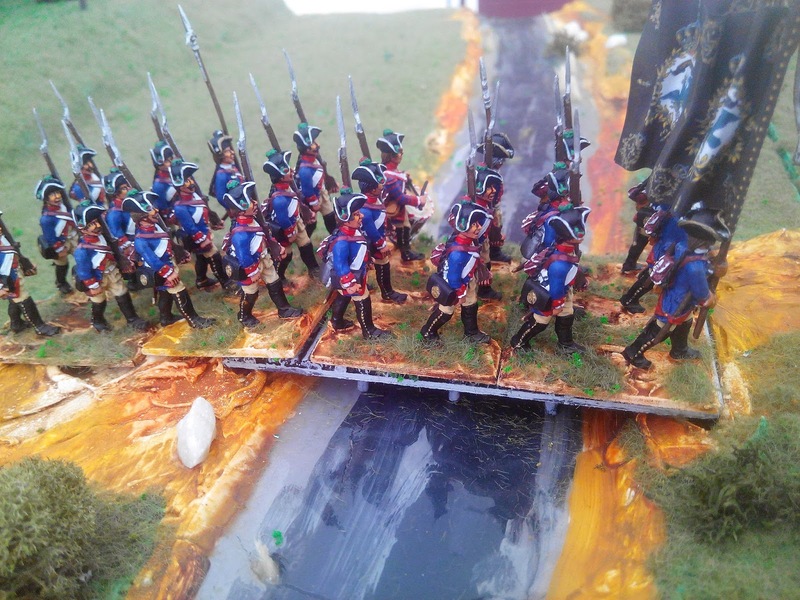 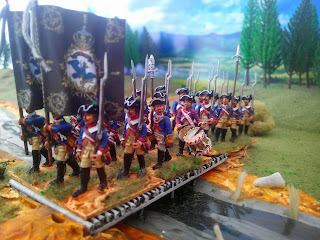 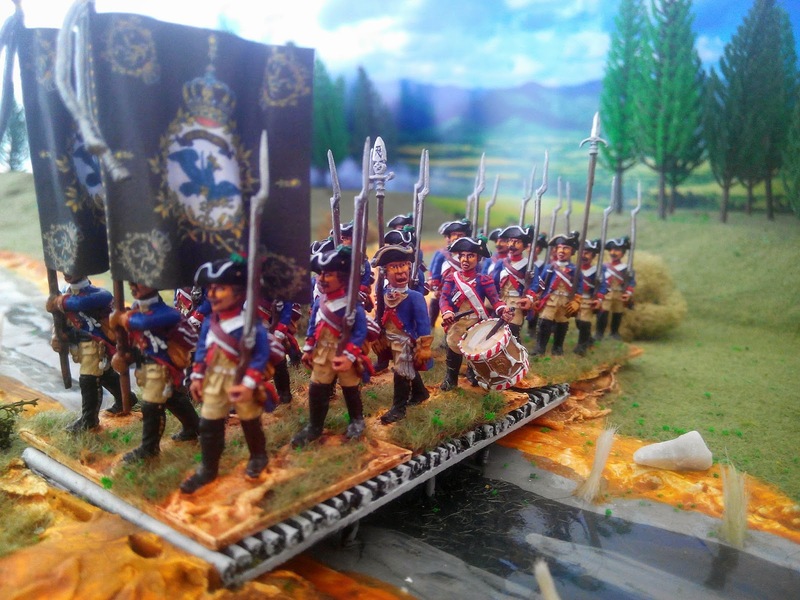 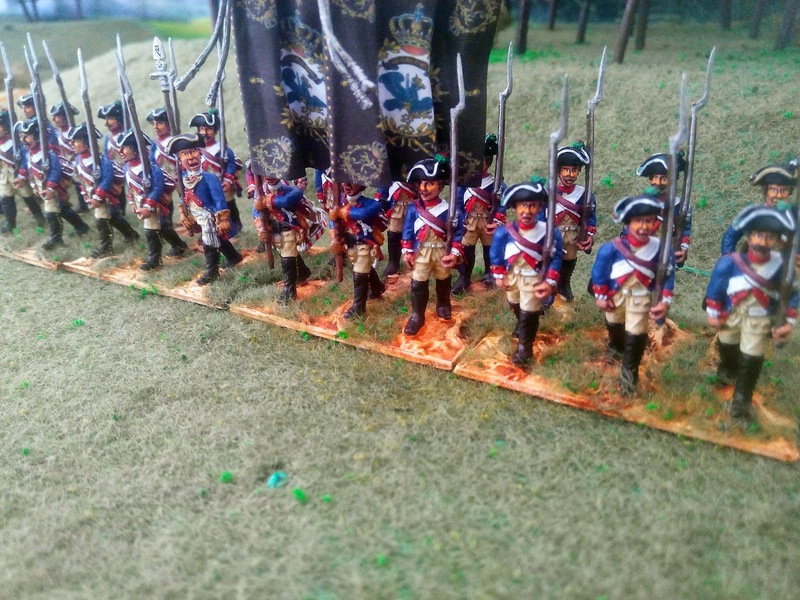 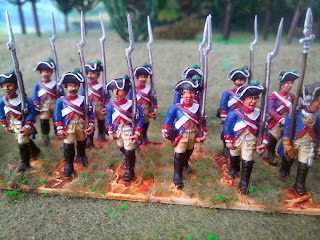 More lovely 25/28mm figures from Black Hussar Miniatures. 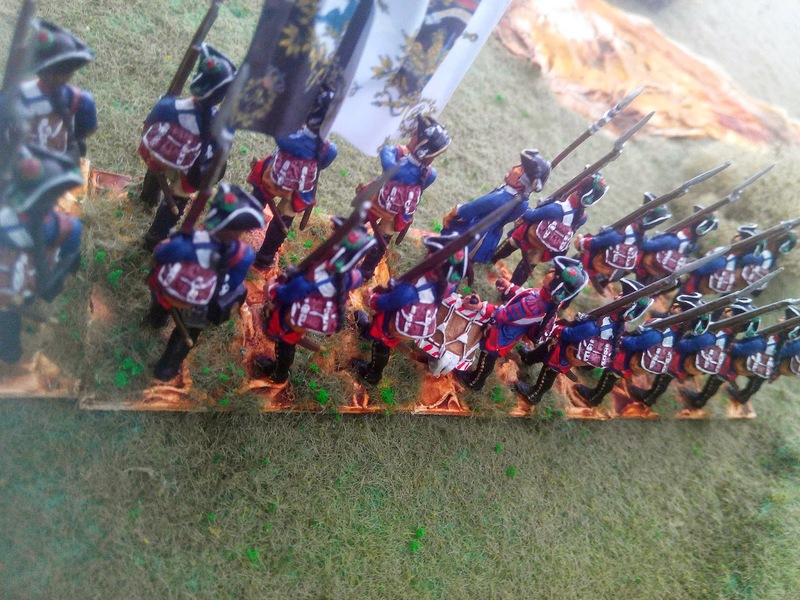 This time SYW Prussian IR2 first and second battalions of von Kanitz. 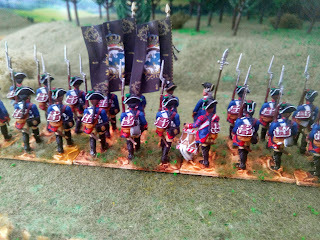 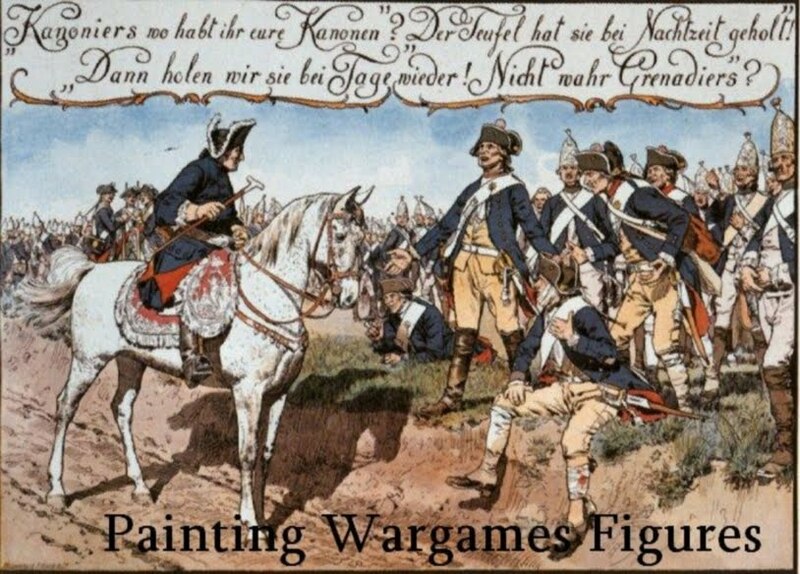 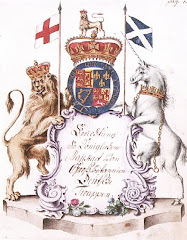 This regiment was from East Prussia and had a somewhat checkered history as it could not draw on recruits the area being occupied by the Russians for most of the war. For part of the war, the regiment was only one battalion strong. 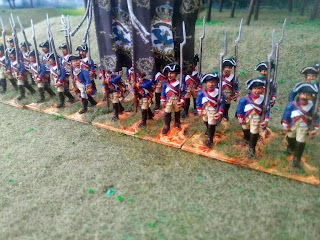 I think it’s black flags give it a dour.Lutheran look!